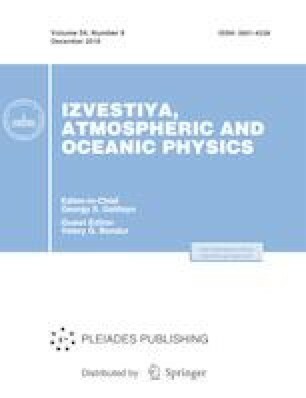 On the basis of the detection data on active fires from the MODIS satellite instrument in the 2000–2016 period an analysis of the characteristics of forest fires in the boreal zones of Eurasia and North America was carried out. The total number of the forest fires in the boreal zone is dominated by the fires in Northern Eurasia. At the same time, the intensity of the North American forest fires is higher on average than the intensity of the Eurasian forest fires. Along with some tendency to a reduction of the annual number of boreal fires, there are tendencies towards an increase in the intensity of the average forest fire, which are statistically significant for the North American region and for the boreal zone as a whole. The regional features of the long-term characteristics and the seasonal dependence of forest fires, as well as the regional peculiarities of the interannual variations of the fire level in the boreal forests, were discussed. A comparative analysis of the results of detection of fires by MODIS and VIIRS satellite instruments was carried out. This study was supported by the Russian Foundation for Basic Research, project nos. 15-05-07853, 17‑05-01097, and 17-29-05098, and programs of the Russian Academy of Sciences.